The Minerals Council also welcomes the government’s commitment to addressing infrastructure constraints that limit mining and processing. 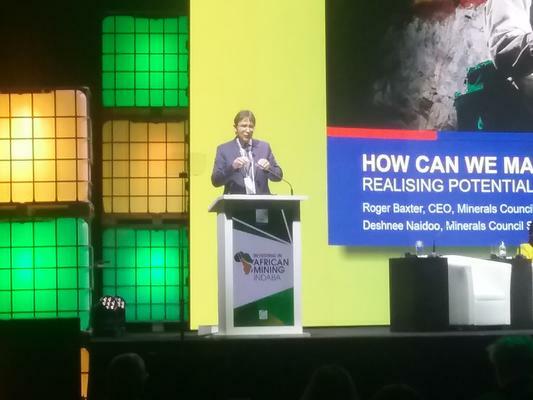 The Minerals Council of South Africa on Wednesday welcomed the assurances made by President Cyril Ramaphosa during his address at the Investing in African Mining conference in Cape Town. Ramaphosa also assured the industry that the government would not allow the state-owned power utility, Eskom, to fail because it was an important tool for the economy. The Minerals Council said it was looking forward to the imminent announcement of a package of measures to stabilise and improve Eskom’s financial, operational, and structural position and to ensure the security of energy supply for the country. It said it also welcomes the government’s commitment to addressing infrastructure constraints that limit mining and processing, including port, rail, and electricity.